A few weeks back, we wrote a blog titled, “How to stop a Dog from jumping the Fence.” In this blog we outlined several ways to keep Fido in your yard, with fencing being our final suggestion. However, it just occurred to us that we didn’t suggest a type of fence. So, what is the best fence for dogs? According to The Whole Dog Journal, an online periodical dedicated to man’s best friend, a six-foot wood privacy fence is the best possible option to keep your dog safely confined to your yard. Privacy fences are tall enough to keep your dog contained and because they are solid, unlike chain link fences, they will prevent your dog from becoming overly aroused by visual stimuli, such as cars, the mail man, and other dogs. 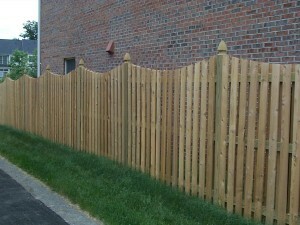 Best of all, a wood privacy fence will add to the curb appeal of your home, add property value, and so much more! A six-foot wood privacy fence will keep your dog from jumping over your fence and escaping, but it will not prevent him/her from trying to dig under or chew through the fence. This is why, even with a wood privacy fence, it is important to pay attention to your dog. More often than not, dogs try to escape a yard for two reasons: outside stimuli and boredom. The wood privacy fence eliminates the problem of outside stimuli, shielding your dog from the outside world. However, boredom can still be a problem. If you leave your dog alone in your yard for an extended period of time, he/she will get bored and try to escape. We understand that you cannot spend every second with your dog, so just be cautious. Periodically examine the perimeter of your fence for signs of digging or damage, such as claw marks, chew marks, or loose boards. Furthermore, if your dog is skilled at climbing, you can install a “roof” that comes inward off the top of the fence at a 45- or 90-degree angle or attach “coyote rollers” along the top of the fence, suggests The Whole Dog Journal. And finally, make sure there is nothing along the edge of the fence that your dog can use as a jumping point to escape. 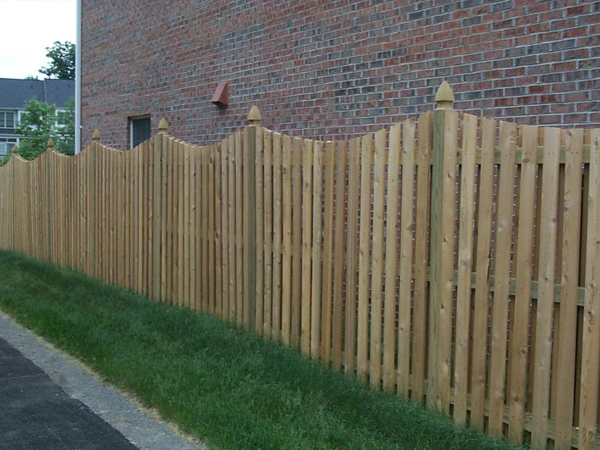 Since 1955, Hercules Fence of Northern Virginia has been providing professional service and quality installation for both commercial and residential fences. So we know a thing or two about fences. In addition to offering you unparalleled experience, Hercules Fence also offers the buying power of the largest fence company based in Virginia. We can get you the fence you need at a price you can afford. So why would you call anyone else? If you have any questions about the Best Fence for Dogs, please contact Hercules Fence of Manassas, Virginia today by calling (703)551-2609 or visiting our website. Also, check out Hercules Fence of Manassas on Facebook,Twitter, Google+ and YouTube! This entry was posted on Friday, August 9th, 2013 at 1:46 pm. Both comments and pings are currently closed.